The success and popularity of the social networking sites like Twitter or also Facebook depends totally on the achievement of those persons who develop many interesting and ideal apps since apps are the most significant part of these sites. For example, Facebook has obtained a huge number of users due to the social games created by Zynga Inc. Furthermore, the services on the site of Twitter have achieved usability owing to the thousands of applications. These apps permit the public to shorten the web links, display photos and even utilize the Smartphone to get the service. There are already more than million of apps all over the world that want technical maintenance to stay up and operate, and long-term business policy of Twitter is to endow developers with the necessary tools to make cash from their apps and prevent them from crashing. Few years ago, Twitter developed some firm rules and regulations regarding the apps development in social media and as a result, it annoyed many developers. But, recently Twitter has brought out some attractive news for those developers by arranging a conference for them. It is going to declare a new set of tools for the app makers. The social network was stocking up on the developer-based tools over the previous 18 months, holding the startups such as Crashlytics that helps the makers to debug and check new apps. If app makers utilize Crashlytics to analyze and fix their app, they are more probably to use MoPub to promote on it. And in the future, when Twitter releases the best, pricier versions of those tools, the present customers will probably upgrade. 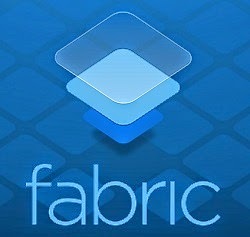 The new service of the tools will be given though a last platform known as Fabric. Fabric that is free, will provide developers a channel to report troubles in the development procedure by means of Crashlytics The tools will incorporate some things from Crashlytics. It is a crash-reporting tool that is used by different companies to know when their apps would crash on the customer devices and it was acquired by Twitter in the year 2013. But, this meeting with the developers will not be to promote the mobile manufacturers to build on this social networking site. The discussion in the conference will be more like a general conversation. The focus in this conference will be mainly to create a good relationship with the app makers by offering them some free tools so that Twitter will be able to earn some profit in this context. Ryan Sarver, who is an associate of Redpoint Ventures and an ex- director of Twitter mentioned about the same thing. He also said that a new type of service from this social media sites is pleasing to all of the mobile makers, it can create a good bond with further some more developers in the future. He did not speak clearly enough early on concerning which apps it aimed to make and which it wished developers would create. Twitter must make reliable apps for the sake of the users. However, the relationship became controversial in August of 2012 while Twitter implemented some severe necessities for third-party apps and basically ordered apps which would be capable to flourish in the future years. The company was attempting to take control over the user experience and starting to build features that had been created by external developers.